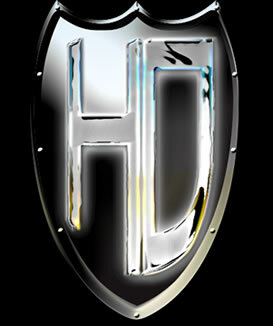 Hyde Definition is a digital camouflage design company founded in England by Dominic Hyde in 2008. Dominic is an internationally recognized authority on camouflage pattern design and is a member of the International Camouflage Uniform Society. Dominic's lifelong interest in the art of concealment - having experimented with different camouflage techniques and patterns since childhood - has led him to design over two thousand camouflage patterns for clothing, vehicles and infrastructure installations. Dominic also put his interest in camouflage and concealment to practical use during his military service with a Territorial regiment of the British Army's Royal Artillery. Since February 2009, our PenCottT Multi-Environment Camouflage pattern has been available on our own unique Pioneer field clothing range in the GreenZoneT colouration. We have also created variations for many other types of terrain, including: desert and semi-desert, grasslands and jungle, mountains and highlands, urban and suburban, snow and subdued (low-light). The underlying PenCott pattern, combined with specific variations, surpasses the current state-of-the-art in visual concealment for multiple terrains and environments. International interest in Hyde Definition has come from many sources; including military and police special operations forces, hunting and wildlife management sectors and from airsoft and paintball players. In 2008 Hyde Definition became one of the first companies in the UK to offer a consultancy service for site-specific visual signature mitigation requirements. To this end, we were commissioned to design a camouflage scheme to reduce the visual impact of domestic wind turbines in the North of England. In 2010 Hyde Definition expanded to become a registered limited liability company. Rachel Hyde (Dom's wife) was formally appointed as Finance Director. Rachel brings over 20 years experience working in blue-chip British and international companies. Lawrence Holsworth, international B2B marketing consultant, camouflage expert and former paratroop infantry NCO, joined as Marketing Director. Hyde Definition is a registered trademark of Hyde Definition Ltd. All rights reserved. VAT registration number GB 186 6339 67.